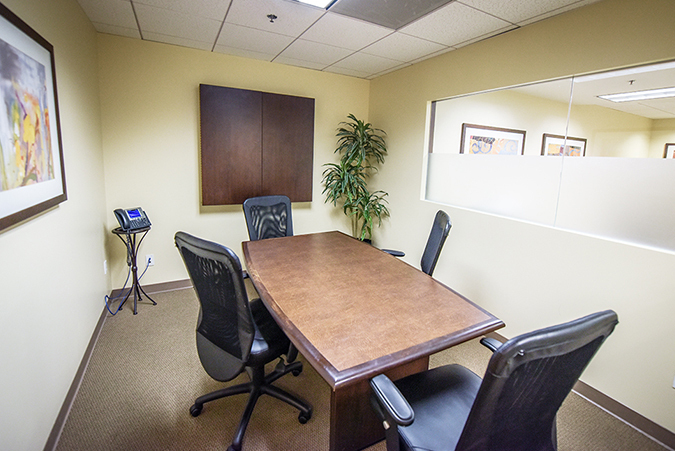 The Valley Gateway Building provides prestigious and spacious executive suites, meeting rooms, and day offices in Panorama City, CA. Businesses are pulled to the area due to the high diversity, as well as the proximity of the Van Nuys Courthouse West. If you are looking for a business location in or around Panorama City, Premier Workspaces has the solution. The Valley Gateway Building is located in a high traffic area at the intersection of Roscoe Blvd and Van Nuys Blvd which brings a lot of walk-in guests and high exposure to businesses that choose to locate there. It is near the 405, 5, and 170 freeways. The Panorama Mall is located just across Roscoe Blvd., and so is a Walmart. Plaza Del Valle, a community plaza, is located just a few minutes from the office building as well and offers small retail shops and restaurants. The Valley Gateway Building, also known as the Social Security Building, has parking specifically for the building, and free parking is available. There is also parking at the nearby Panorama Mall. There is a wide variety of public transportation available in the area, including the Metro Rapid Bus which is out front and to the corner of the building, the Metrolink Train, Amtrak, and the Orange Line Train all at Van Nuys and Keswick about a mile away. The Van Nuys Airport is about 5 miles, or 13 minutes away. The Valley Gateway building offers a US Bank ATM on the first floor of the building, as well as an AT&T store. This is the origin of another one of the buildings names: the AT&T Building, and it is the most prestigious building in Panorama City. In addition to both short term and long term office space, the Valley Gateway Building also offers hourly and day offices to accommodate any business need. Our full time offices include top of the line furnishings, along with high-speed internet, personalized telephone answering service with voice mail, and mail handling and distribution. 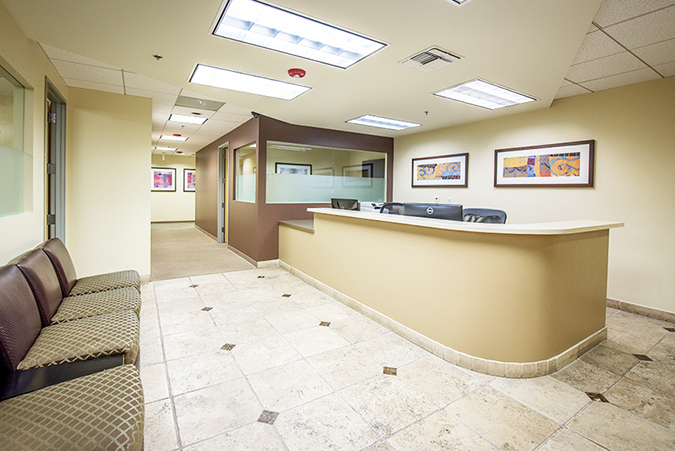 For companies in or around Panorama City that don’t need full time office space, but still want to maintain a professional image, the Valley Gateway Building also offers virtual office plans, which provide a professional business address, mail handling, personalized phone answering, and access to a conference room. 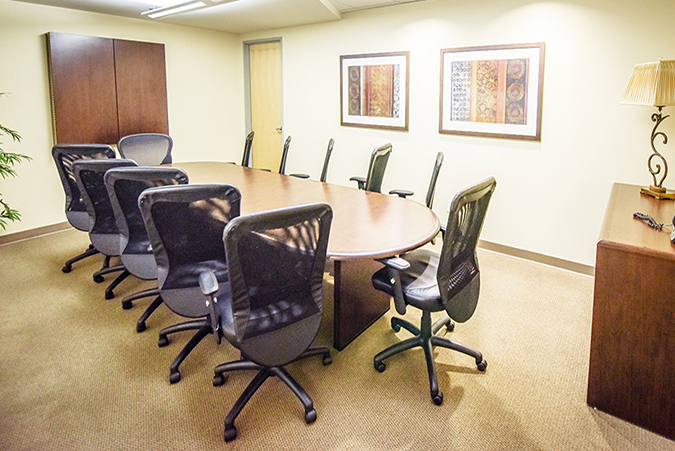 The Valley Gateway Building offers executive suites and meeting rooms, and can also provide our incredible team of skilled and positive professionals who are ready to take care of your secretarial, administrative, and information technology needs. You don't have to be a large corporation to enjoy working in a world class corporate environment. Near Granada Hills, this location is able to offer immediate occupancy, which means that if you sign a contract in the morning you can be sitting behind your new desk getting work done that same afternoon.